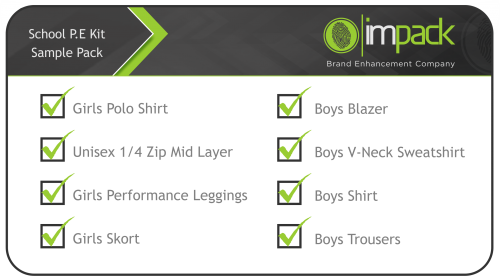 At Impack we have invested a tremendous amount of time visiting school wear specific trade shows and undertaken a lot of research and development in the garments which we know will withstand the demands of modern day school life. We are so confident in our range that we are offering your school the opportunity to receive our standard day wear sample pack in order for you to compare our quality with your current day wear supplier. To receive your sample pack simply click the icon below and once we have your requirements we will arrange a meeting to discuss how our service will benefit your school. Performance, practicality and high quality are what you will find with the products we have on offer for your P.E kit. Technical t-shirts, thermal mid layers and reversible rugby shirts are just the tip of the iceberg on what we can offer. With our exclusive sports brand Viking we are confident we will have the perfect garment for your students so they can perform to the best of their abilities. To see our standard sports wear range simply click the icon below to e-mail us so we can arrange a suitable appointment to discuss how our service will benefit your school. What better way to commemorate the school trip, sports tour or the ever popular students leavers hoodie than a well designed graphic, high quality garment, choose from numerous styles and colour way options that every student would be proud to wear. 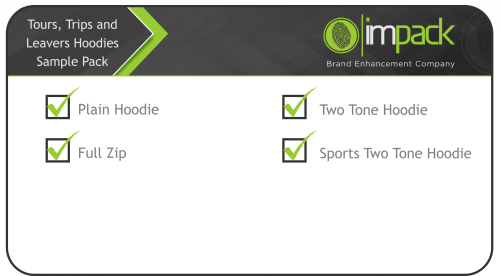 Click the icon below to receive your sample pack today.